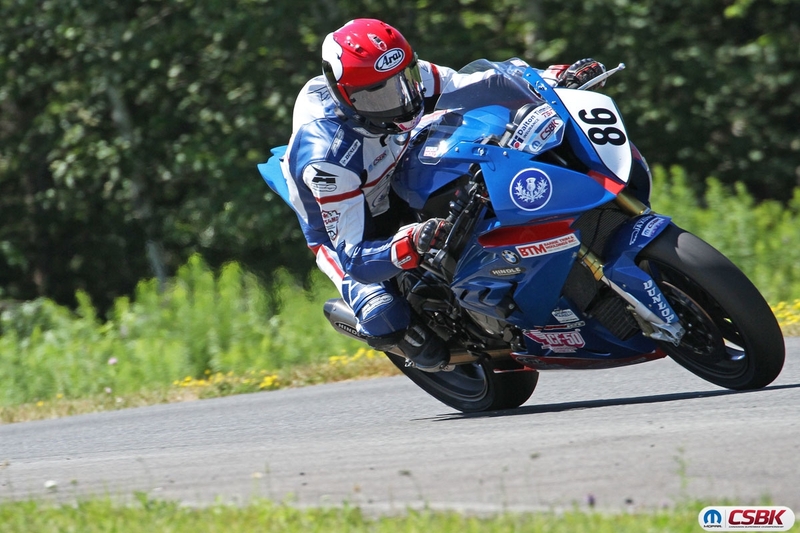 Port Perry, Ontario (July 26, 2018) - The fourth round of the 2018 Canadian Superbike Series (CSBK) took place this past weekend (July 19-22) at Atlantic Motorsport Park in Shubenacadie, Nova Scotia. 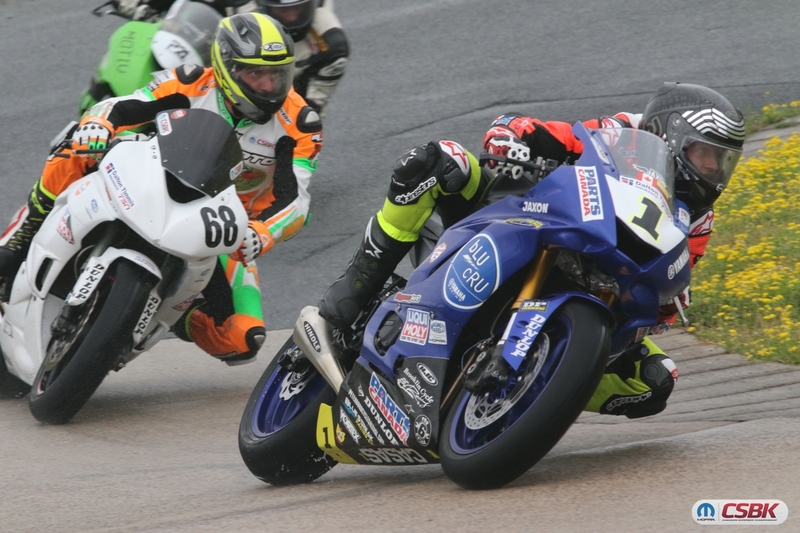 This particular round was a double-header, as the Superbike and Sportbike pros raced both Saturday and Sunday. 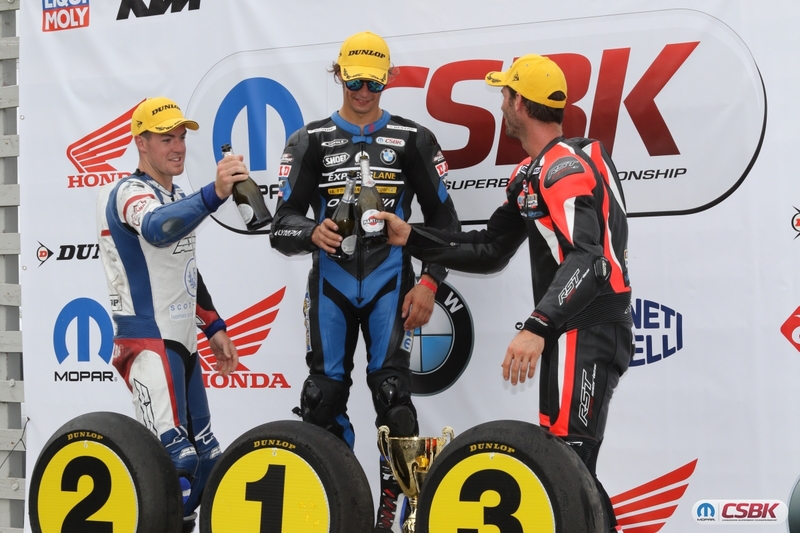 Jordan Szoke, on the Mopar Express/Hindle/BMW S1000RR, won both Mopar Pro Superbike races, but not without a tough battle. 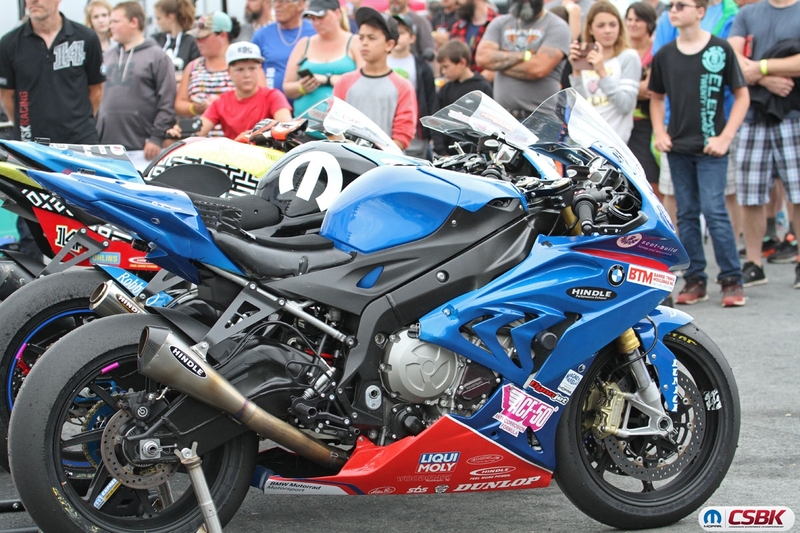 In Race 1, Ben Young, on the Scot-Build/Hindle/BMW S1000RR, had a great start and tried to stop Szoke from getting by, though the result was Szoke and Young running wide, letting Samuel Trepanier, on the Blysk/Hindle/BMW S1000RR, take the 2nd spot, with Young close behind. The first few laps of the race were exciting and super close, until Szoke started to pull a lead and eventually crossing the finish line in 1st, leaving Young and Trepanier to their own battle for 2nd and 3rd. With only two laps left, Young made his move going into the carousel to take 2nd place, the position in which he would ultimately finish in. Trepanier came in a close third, followed by Trevor Daley, on the One Speed/Hindle/Kawasaki ZX-10R in 4th and Michael Leon, on the Royal Distributing/Hindle/BMW S1000RR in 5th. In the Mopar Pro Superbike Race 2, Szoke had a great start and grabbed the holeshot. By lap six, Szoke had lost his lead when Trepanier managed to make a pass. Szoke regained the lead by lap nine to bring it home for the win. Trepanier came close in 2nd followed by Young in 3rd. Leon finished in 4th position, followed by Daley in 5th. In the Liqui Moly Pro Sportbike Race 1, Tomas Casas, on the Peterborough Cycle/Hindle/Yamaha YZF-R6 just wasn't able to take the top spot competing against local Jacob Shaw-O'Leary (Honda CBR600RR). The battle was tight for 1st place, but O'Leary pulled ahead and crossed the finish line in the top position. Casas came in a close 2nd, followed by Jean-Marc Bilger, on the Hindle-powered Kawasaki ZX-6R in 3rd. 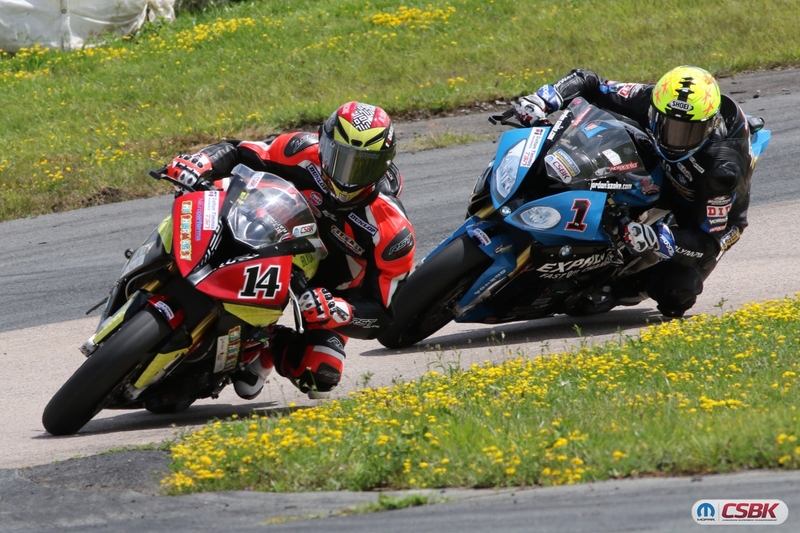 Sebastien Tremblay, on the DB Moto/Hindle/Kawasaki ZX-6R came in 4th followed by Mitch Card in 5th (YZF-R6). In Race 2, Tremblay took home his first Pro National win in an exciting race. Casas took the second spot on the podium for back-to-back second place finishes, followed by Shaw-O'Leary in the 3rd spot. 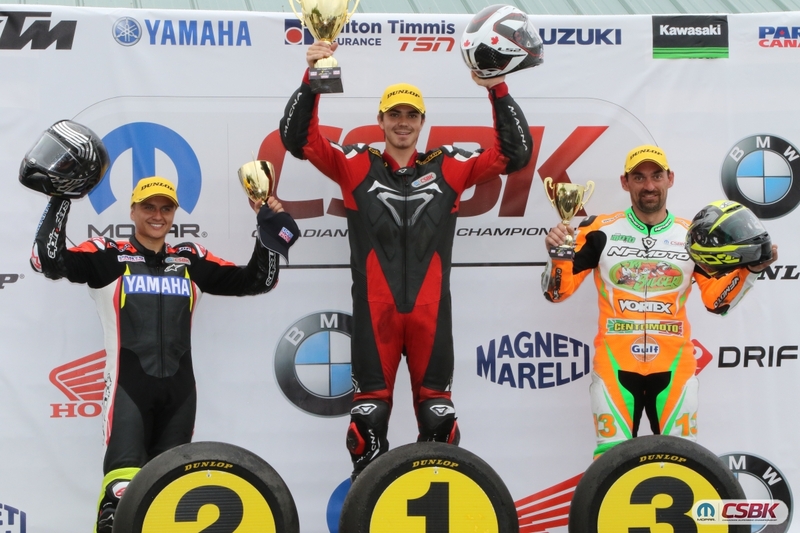 Card grabbed the 4th spot, followed by Rookie-turned-Pro Samuel Desmarais, on the Hindle-powered Kawasaki ZX-6R in 5th place. 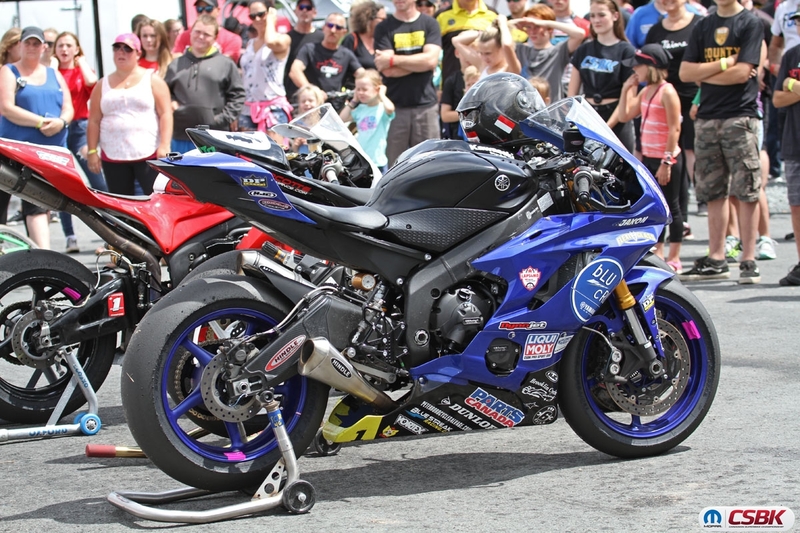 In the Amateur Lightweight class double-header, the local riders gave Jake Leclair, on the Oshawa Cycle/Hindle/Yamaha YZF-R3, a run for his money. Leclair, who was on his way to claiming the Amateur Lightweight Sportbike championship, finished in 1st in Race 1 and 3rd in Race 2. 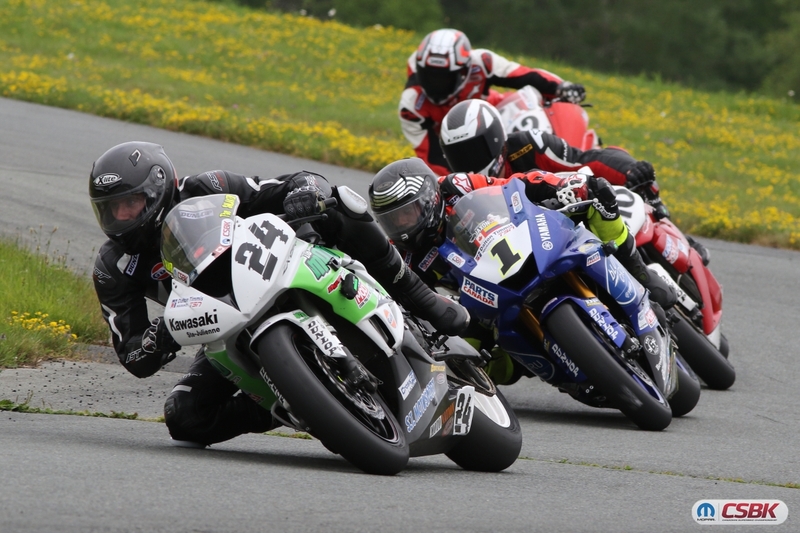 In Race 1, the battle was a close one - as Avery Hart and Scott Alexander, both on Kawasaki Ninja 250s and local to Atlantic Motorsport Park, stayed close to Leclair the entire race. Leclair claimed the top spot, followed by Hart in 2nd and Alexander in 3rd. 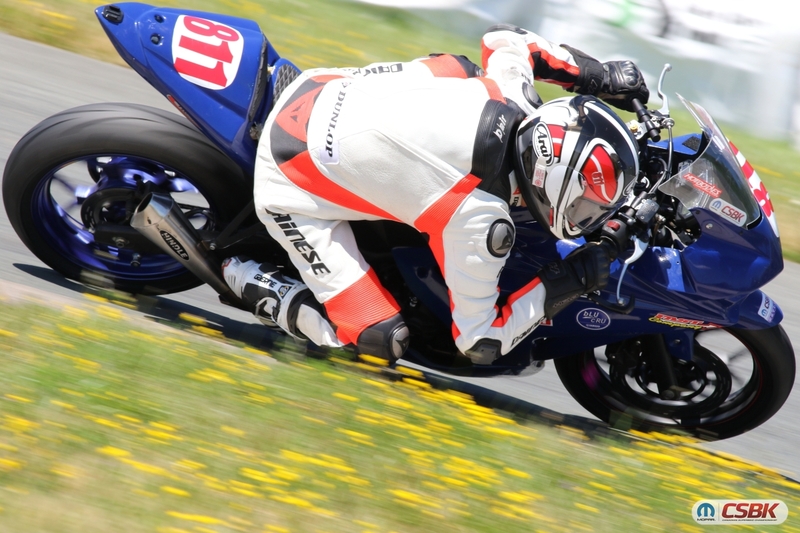 Alex Berthiaume (YZF-R3) came in 4th, followed by Ryan White, on the Hindle-powered Kawasaki Ninja 300 in 5th place. In Race 2, Leclair just couldn't bring the top spot home, as the local riders were able to finish ahead. Leclair rode a smart race planning ahead with the overall championship points on his mind, holding off on having a risky battle with the local riders. Hart finished in 1st, followed by Alexander in 2nd and Leclair in 3rd. Berthiaume finished in 4th place followed by White in 5th. The last and final round is taking place August 10-12 at the famous Canadian Tire Motorsport Park in Bowmanville, Ontario. This weekend will be another double-header round, with racing taking place on both Saturday and Sunday. 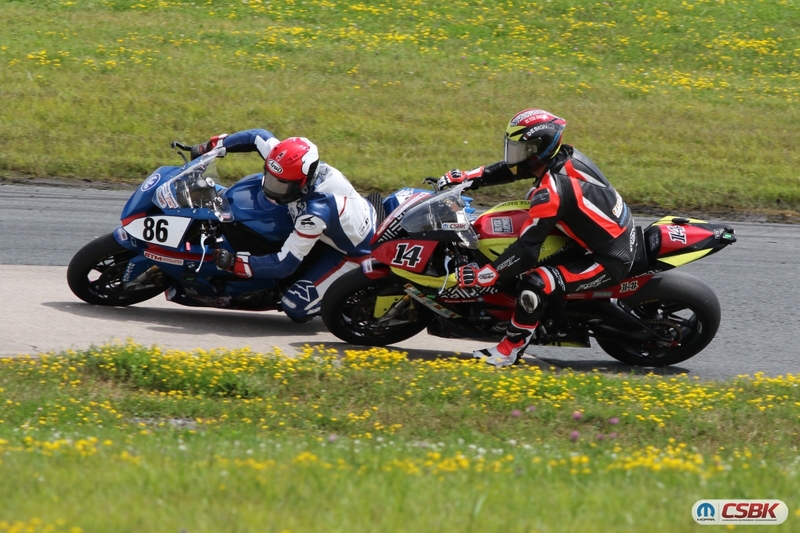 A fan-favorite track, CTMP draws a huge crowd of spectators eager to watch Canada's top motorcycle riders compete.